Decorative cakes and sweet cuddly toys at Desiree Home Decorations! 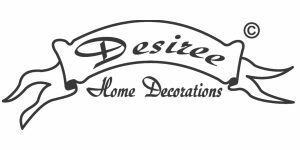 Desiree Home Decorations has its own production line of handmade decorative cakes, pastries, petit fours, and cupcakes. They also import beautiful plush toys. There are always fun and affordable gifts to be found and the assortment changes regularly.